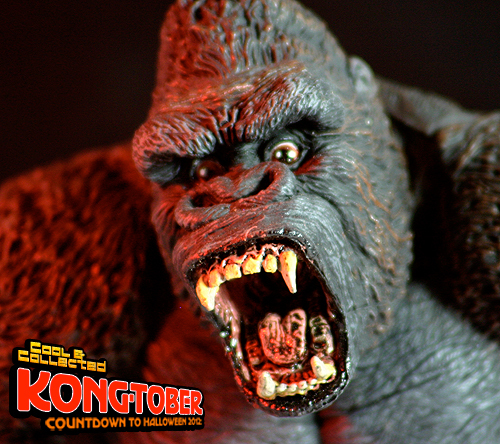 This photo is a bit deceptive as it makes this King Kong figure look small. Make no mistake though, this figure is big, and heavy! It stands at 9″ tall and weighs almost two pounds! Kong is bursting free from his “chrome steel” shackles and snatches up Ann Darrow (Faye Wray) before wreaking havoc in the streets of New York. What a great figure! 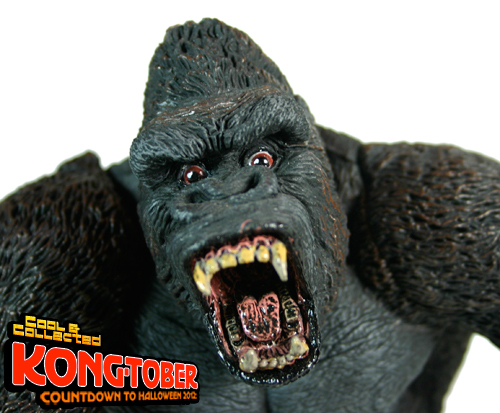 This King Kong figure is from McFarlane Toys’ Movie Maniac series, released in 2003. McFarlane Toys has a reputation for producing finely-detailed “action” figures, with minimal articulation. This figure has shoulders, hips, and one elbow that move, but it looks fierce on the shelf. 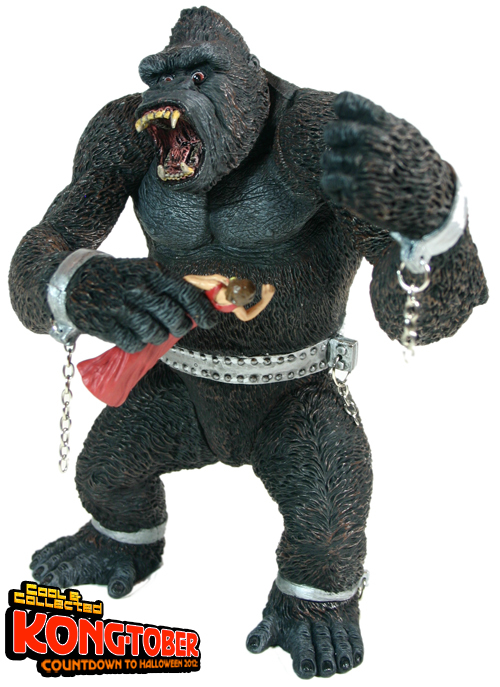 The Ann Darrow figure can be held in Kong’s right hand or stand in fear on her own. The detail in the hair and features of Kong are impressive. How would you like to wake up to that sight every morning? This is one i would love to own again. This is really cool. McFarlane does make some cool action figures. i used to be big into Spawn collecting back in the 90s. Def a cool Kong! Yeah I would like to own it again too. I took my toy collecting not as seriously back then. This is one of McFarlane’s best for me. I have this guy on the top shelf of my bookcase in my office at work so he’s perched up at the ceiling looking down. 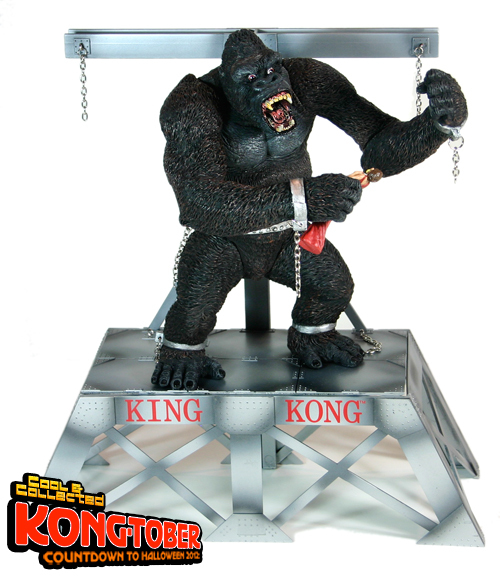 King Kong Kool!